DFDL Vietnam donated USD 1,250 to Mai Nha Children Foundation Vietnam to support Mai Nha’s activities in Binh Thuan Province. Mai Nha (which means “roof” in Vietnamese) used the donation to build two houses for 20 orphaned children, as well as providing scholarships for more than 80 schoolchildren in the village of Thien Nghiep, 200 kilometers east of Ho Chi Minh City. Please click here for more information. DFDL has donated USD 2,000 to the Quality of Life Association (QLA) to assist unexploded ordnance (UXO) survivors in Xieng Khouang Province. The QLA is a non-profit association, registered in Xieng Khouang Province. Its mission is to provide services to UXO survivors, people with disabilities, and communities that have been affected by UXO contamination. In addition, through the QLA Visitor Center in Phonsavanh, visitors can learn about the impact of UXO on people and communities as well as the importance of services to alleviate UXO trauma. In 2012, DFDL joined the Women’s International Group (WIG), which was formed in the early 1990s and is comprised mostly of expat women living in the Lao PDR. WIG conducts many different activities, including charitable projects that help fund surgeries for the underprivileged and support community-based school infrastructure development. As a member of WIG, DFDL supports these projects and participates in other activities such as WIG cultural events. Since 2007, DFDL has sponsored the activities of the Lao Elephant Conservation Program, implemented by the association ElefantAsia (www.elefantasia.org) in collaboration with the National Animal Health Center. The objectives of the Elephant Conservation Program are: (i) improving the health and welfare of working elephants and (ii) raising awareness of the plight of Asian elephants among the Lao population and promoting conversation. These objectives are fully integrated in the general issues and challenges related to the protection of the environment in the Lao PDR.R. COPE stands for Cooperative Orthotic and Prosthetic Enterprise. COPE’s mission is to provide prosthetics and mobility devices free of charge to those people who require them but cannot afford to pay for them. They also supply information to people about available services, as well as training and support to local staff to ensure high-quality service and assistance in developing longer-term strategies for sustainability so that the service will always be available to those who need it. COPE is the only provider of prosthetic, orthotic and rehabilitation services in the Lao PDR. DFDL sponsors this worthy organization. DFDL has donated equipment to the Lao Women’s Disabled Development Centre, which focuses on teaching skills to disabled women from all over the Lao PDR. The women are taught English, sewing, paper making, and computer skills. In 2009, DFDL sponsored the purchase of a new boat for the Boat Racing Festival on the Mekong River in the Lao PDR. DFDL sponsored the football team in 2009/10 in the Lao PDR. 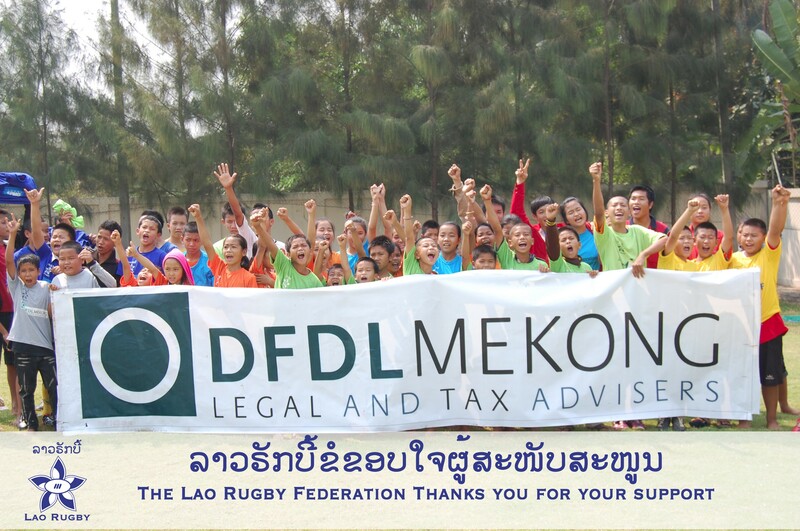 DFDL sponsored the Meuang Noy School, and this support ensured that Meuang Noy students receive bi-weekly in-school rugby training sessions and had the opportunity to participate in weekend community rugby sessions as part of the LRF’s Champa Ban Youth Rugby Project. Download more information and photo here. The Mid Term report can be downloaded here. In 2005, DFDL established an annual Tennis Training Fund, which assists aspiring young Cambodian tennis players in developing their skills under the guidance of the Tennis Federation of Cambodia (TFC). The TFC plans regular trips abroad for its juniors including tournaments and training at internationally recognized tennis camps. In 2004, DFDL established a scholarship fund to help Cambodian students in need of financial assistance to further their studies in the legal field. Each year, DFDL has collaborated with various organizations (such as Enfants Du Mekong, Enfants d’Asie ASPECA, Khmer Foundation for Justice, Peace and Development and French Cooperation), to sponsor 7 to 8 students annually. DFDL is dedicated to supporting and strengthening the advancement of policies and the legal system of Cambodia to ensure sustainable investment. NGOs have played an active role in Cambodia’s development and throughout the year, DFDL sponsors events and fundraising initiatives to support the growth of arts, sports, education, and social development throughout the country. DFDL also provides pro bono legal advice to organizations that care for underprivileged children and focus on the alleviation of poverty. As a firm, we recognize that we have a collective and individual impact on the environment. DFDL houses a unique clean energy practice dedicated to ensuring that our clients and partners adhere to clean energy standards and principals to reduce global emissions and their carbon footprint and develop environmentally conscientious projects. 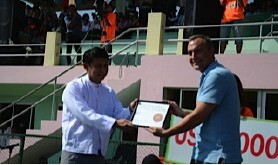 DFDL co-sponsored the first Myanmar International Tennis Project in Yangon, Myanmar, organized by the Tennis Federation of Myanmar (TFM) on 4-8 December 2012. 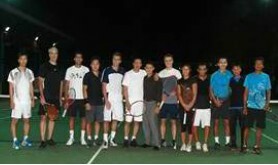 The objective of this initiative was to develop tennis throughout Myanmar. The main event was the Sunkist Kids Tennis Day that took place on Saturday and hosted about 1,000 children from 15 public and private Yangon schools at the national field hockey stadium. Apart from talent identification and coaching education, the event was also held in preparation of the upcoming Davis Cup Asia/Oceania Groups II and IV ties and the Southeast Asia Games this year. DFDL’s partner s David Doran and William Greenlee at the tournament’s ceremonies. DFDL has assisted the Myanmar Women’s Development Association since 1999 by supporting orphans, schoolchildren, and university students with school fees, stationery, course fees, and other necessities.